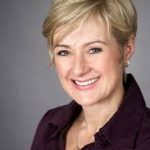 Danielle Park: “The Ontario Municipal Employees Retirement System (OMERS) is Canada’s largest defined benefit pension plan with $95 billion in net assets (as at December 31, 2017), administering pensions for almost half a million active, deferred and retired employees of nearly 1,000 municipalities, school boards, libraries, police and fire departments, and other local agencies in communities across Ontario. After losing 15.3% or some $8 billion in value during 2008, the fund recovered over the past 5 years to achieve a top decile average return of 5.9% a year over the last decade. The target return however was 7.3% and so the plan reported a 94% funding ratio (6% capital deficit) in 2017. If the plan was able to achieve its current target return over the next 8 years, OMERS states that it “aims to return the Plan to full funding on a smoothed basis by 2025”. A 94% funding ratio is robust compared with most other pension plans in the world today. And yet still, 10 years since the last recession and bear market–and the second longest running bull market for financial assets ever in history–OMERS (and other retirement savings plans) are approaching the next bear market still in a capital deficit. Both of these approaches are highly distasteful to members, and increased contributions are anathema to taxpayers, especially since government budgets are already in growing deficit, and most private sector workers today have woefully inadequate retirement savings plans. After years of kicking the can and pretending that magical markets will make up for insufficient contributions rates, math must be faced, and cutting or reducing annual benefit indexing is generally perceived as the least offensive place to start. OMERS, your pension plan, is currently considering changes to the plan that threaten the financial security of your retirement. Among these changes is the removal of guaranteed indexing of pension benefits. Having an indexed pension means that your retirement benefits are adjusted annually to keep up with the cost of living. Without this guarantee, your retirement income will be eroded by inflation year after year. To inform you about the proposed changes and what we can do about them, CIPP is organizing an information Town Hall. The proposed date for the Town Hall is Wed, May 23, 2018. Please use the link below before 5:00pm on Monday, May 14th to indicate whether you are interested in attending. Once we know how many members will be attending, we will follow up early next week to confirm the date, time, and location. For those who can’t attend, we will be distributing further information, but this Town Hall will be your chance to ask questions and talk about protecting the financial security of your retirement. We hope to see you there. Because pension plans have tried for higher returns over the past few years through higher allocations to risky asset classes than ever before, they now face higher drawdown/loss prospects than in past cycles, as we approach the completion of the current one.